HR has evolved, albeit slowly, over the last few years. With the introduction to technology, artificial intelligence, big data and more, HR had had little option but to adapt. We have crawled our way from being woefully behind to catching up with the latest in technology. With every other job function evolving, it is only natural that HR too witness a transformation in the coming years. I am no clairvoyant, however, if current trends are any indicator of the future, here are five things I see coming in the next 5 years. Increasingly, HR teams across organizations have begun to include data scientists, economists, psychologists, software engineers and more. It is no longer enough to structure HR teams as we did a decade ago. As the variety of needs from the profession increases, so does the skill mix. Organizations have recognized that the traditional HR professional may not have the necessary skills when it comes to mining and interpreting data, designing tech-savvy tools or conducting scientific A/B testing. They have also realized that data scientists, economists and engineers need to partner closely with HR professionals to work effectively. One cannot work without the other. Hence, HR teams of the future will be an eclectic mix of multiple professions. Just as HR teams are becoming more diverse, so are HR professionals themselves. It is no longer enough to be a pure play HR professional. I am not even sure what that means any longer. One has to extend the skill set to include a variety of skills you might not find in the current HR professional. There is no doubt that business knowledge is key, however, in time, HR professionals may come to play business roles. The new age HR professional should be capable of taking on business roles (think program/product managers etc.) and be able to take on a flavour of an economist, psychologist or data scientist. I foresee every future HR professional as a specialist in one field and then a generalist in a few others. With the advent of technology and its various forms, a large chunk of transactional work will disappear. While it may eliminate a few roles, the great news is that it allows us to do more with our time. The pressure to ‘do more with less’ is as true in HR as it is everywhere else in business. HR teams will begin to shrink in size and we may end up with robots as peers. Automation will be a key aspect of work and comes with innumerable benefits. Accuracy, speed and increased bandwidth are just some that come to mind instantly. I am yet to meet an HR professional who does not complain about the ease of availability of data. Our HR systems are exceptionally dated, do not speak to each other and extremely cumbersome. We struggle to pull out relevant data and doubt its accuracy. Our most advanced analytics is still largely restricted to multivariate regression. Technology and experts in data will do much to ease our pain. With increased accessibility to data and access to experts who can interpret it for us, HR as a function will become more data-informed than it is today. Please note that at no point, will HR become data driven. There is a difference between the two, one that is crucial to understand. Gone are the years where we can hide behind the veil of ‘being a support function’. There is an increased pressure on HR to be financially responsible. While this definitely does not translate into HR running on a shoestring budget, it does mean that we will need to demonstrate measurable value. Increased investment in HR functions around the world will soon need to be justified with a direct bottom-line impact. Can it be done? With HR professionals beginning to think more as business does, I bet it can. Let’s wait and watch. Yes, you read that right. The function will evolve to be a critical workforce advisor. Gone will be the days where you would see articles titled ‘Do we really need HR?’ float the internet. Five years hence, impact will be measurable and life without an HR team would be unimaginable. Who knows, schoolchildren might even aspire to be HR professionals. Wouldn’t that be a wonderful world to live in? The good news is that this is all coming true. Leaders have begun to realize the untapped potential of the profession and are investing in growing the function. The world is changing faster than ever before. 20 years today is probably equivalent to 100 years a decade ago. How much did HR change in the last 100 years vs the last 10 years vs the last 2 years? Technology has no clue what technology will look like 10 years from now nor does marketing, finance or any other function. What I can assure you is that everything would have changed except maybe core behavioural psychology. Live 5 years at a time, keep a constant eye on the future and embrace change. You will be golden. This article is exclusive to The Business Transformation Network. Ankita is an HR professional based out of India. 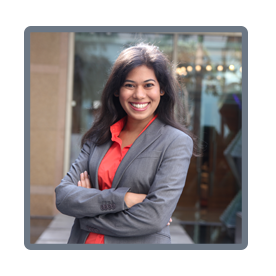 Identified as one of the top emerging young HR leaders in India in 2016, Ankita’s experience as an HR Business Partner gives her the opportunity to work closely with business leaders, innovate and execute on the behalf of customers especially in areas of people analytics, employee engagement, rewards and recognition and performance management. Ankita blogs about all things HR at https://thehrbpstory.com. You can follow her on Twitter @ankitapoddar.